Come back from spring break and get a job! 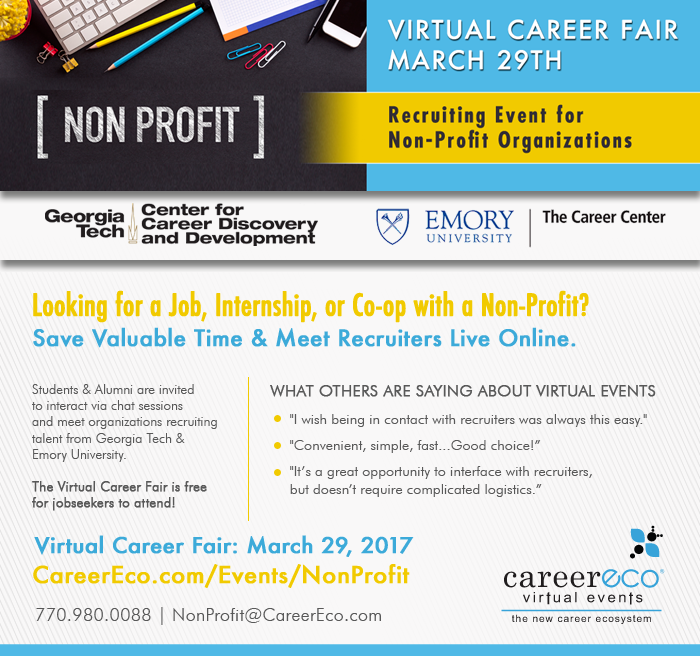 Attend the Virtual Career Fair for students and alumni from Georgia Tech & Emory on Wednesday, March 29. The career fair will be held from 10 am -2 pm, and will feature non-profit, NGO & government jobs. Attendance is free! RSVP at CareerEco.com/Events/NonProfit.